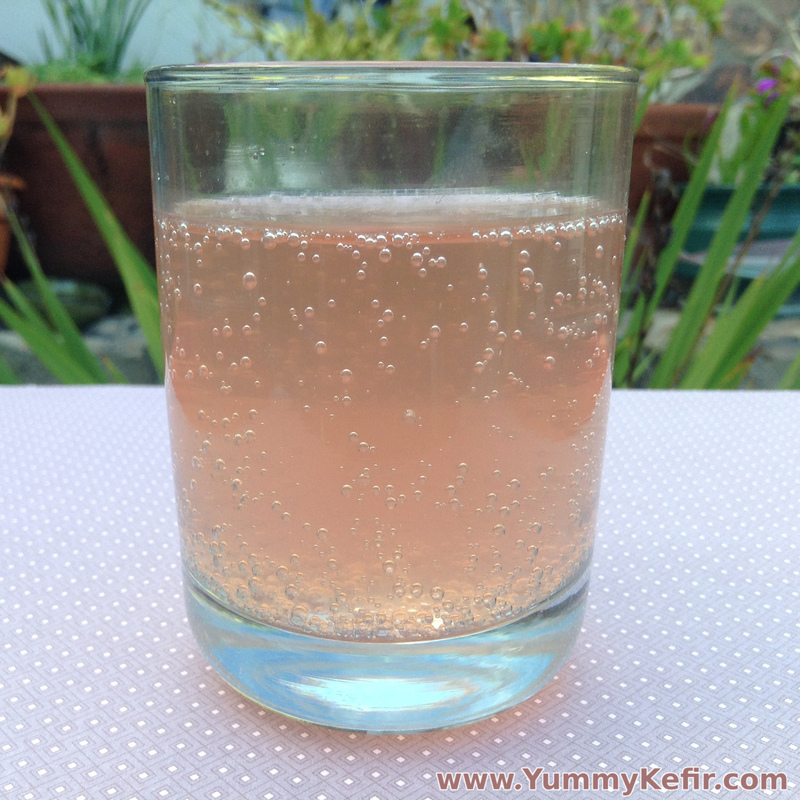 This pretty pink soda couldn’t be easier. All you need is some prepared water kefir, cherry juice and some time. In a few days, you will have a delightful, fizzy, probiotic rich soda that you can enjoy any time of day. If you are looking for a soda flavor that even your kids will enjoy, then give this one a try. Fill a bottle with the water kefir and cherry juice. Tightly cap the bottle and let sit out in room temperature for 1-5 days until it gets fizzy.